Natasha Bowman’s book, “You Can’t Do That at Work,” has been trending in top 20 best selling hot new releases in its category recently! She talks about general things employers and employees should know about their rights at work; how working parents can ask for flex time in the summer and sexual harassment at Uber, Fox News and others. Natasha is an expert in organizational leadership and development, human resources management and employment law. She has a rich history of working with small and large organizations, engaging with professionals at every level. Her past corporate positions include corporate employment compliance manager, human resources manager for 13 multi-unit locations, and regional human resources manager supporting unionized and non-unionized manufacturing facilities across five states. She is currently a healthcare executive. 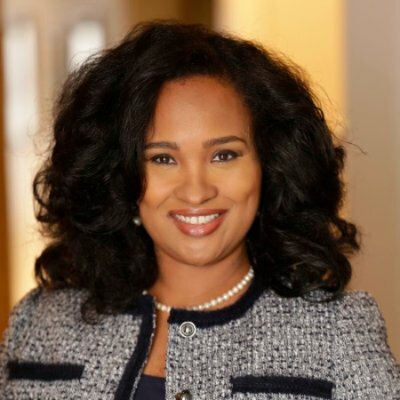 Her experience includes developing corporate HR policies, employee growth and retention strategies, executive coaching, business process improvement, unionized and non-unionized manufacturing consulting, and succession management and planning. Natasha is an Adjunct Professor at Fordham University, Manhattan College, and formerly at Georgetown University. She has provided leadership and HR consultations for The Heritage Foundation, Knowledge International, and Wiley Publishing. Natasha has also been a contributing author for several labor and employment law related publications. 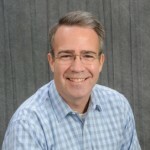 Jack Quarles is a bestselling author and the founder of Buying Excellence, a company that helps businesses choose the right solutions and vendors. Over the last 15 years, Jack has helped dozens of businesses increase profits and have better outcomes and brighter futures. His past work has focused on selling, RFPs and RFQs, negotiation, and reducing costs. His book “How Smart Companies Save Money” was a number one bestseller on Amazon. He also co-authored “Same Side Selling.” His latest book, “Expensive Sentences,” reveals how to transform ways companies do things in order to boost bottom lines. He has worked on cost reduction project teams for Accenture, Bridge Strategy, Mercer Management Consulting, and McKinsey. He has been a highly-rated speaker at national conferences, CEO groups, and business gatherings. 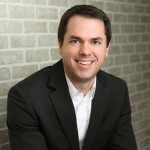 Mark Daoust – Founder and CEO of Quiet Light Brokerage, Inc.
Mark Daoust is founder and owner of Quiet Light Brokerage. They help entrepreneurs in the online and internet business sectors sell their websites for maximum value and they provide free consultation and valuation services to assist entrepreneurs, CEO’s, and founders determine the value of their online properties. Late in 2006, Mark received a call from a good friend and fellow entrepreneur who was considering selling his 8-year-old web hosting website. Just 10 months prior, Mark had sold his own profitable website and was looking for a new direction, like helping entrepreneurs sell their sites. Today, entrepreneurs recognize Quiet Light Brokerage as a leading voice and authority in the emerging niche of selling and buying profitable websites. They have sold over 500 websites with over $100,000,000 in total transaction value.